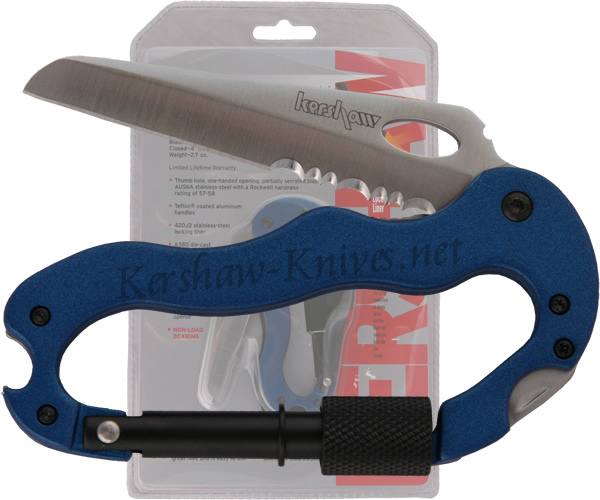 The blue-colored version of the Kershaw Carabiner Tool is model 1004BLX. It has a high quality AUS6A stainless steel blade that is partially serrated. The carabiner tool has three other tools built-in which include a bottle opener, flathead screwdriver, and a phillips screwdriver.